Reading through the entire Bible in less than one year can be a daunting task. But with a well laid out plan and the support of others, it is possible and can be beneficial and enjoyable! Our bible reading journey will begin on Monday, April 1, 2019 and end on Friday, December 20, 2019. 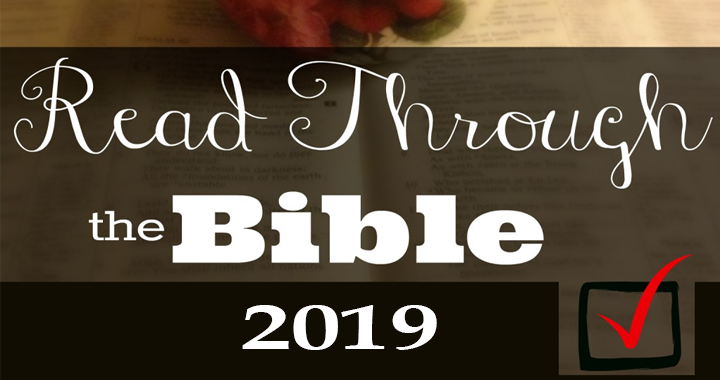 We will read 5 chapters per day and offer some activities that will help you retain what you're reading while keeping you on target to meet your goal of reading the entire bible in one year. If you would like to join us for this challenge, receive encouraging emails along the way and even meet for in-person discussion sessions, complete the form below. You may also submit the form if you just have questions about the Bible Reading Challenge. In-person group discussions will be held each Wednesday at 6:30pm. Complete the form below to sign up for the Bible Reading Challenge or if you have any related questions. Yes! I would like to participate in the Bible Reading Challenge. Not yet. I just have some questions first.